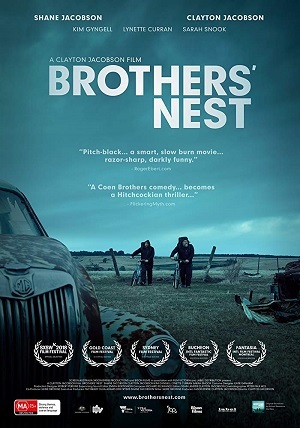 A taut, tight, and riveting thriller that is also disarmingly funny at the right moments, Brother’s Nest reunites Shane and Clayton Jacobson in one of the best Australian crime thrillers to be released in some time. Back in 2006, actor Shane Jacobson and his filmmaker brother Clayton burst onto the Australian movie scene with Kenny, a successful mockumentary of the Christopher Guest mould that followed the life of a hapless bathroom plumber. Since then, the brothers Jacobson tried to repeat that success, especially Shane whose prolific, multitalented nature saw him criss-cross between TV and feature film, the latter of which has seen four films in 2018 alone. Needless to say, Brother’s Nest is not only the best thing either Jacobson brother has delivered since Kenny, but is also one of the best Aussie crime thrillers seen in some time. Clocking in at 97 minutes, this Jaime Browne and Chris Pahlow scripted movie is a perfectly executed blend of twisted family dramatics, black comedy and bloody violence, told through a pitch-perfect level of tension sure to make the coolest of cat sweat bullets. 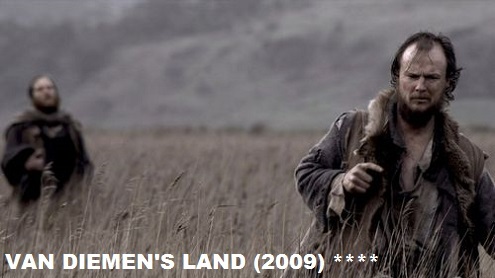 After the films successful debut at the SXSW festival, many compared the film to the early works of the Coen Brothers, and with good reason. Clayton and Shane star as Jeff and Terry, brothers who intend on seeing through the perfectly planned murder of their step-father Rodger (Kym Gyngell), so they can inherent the family home. As the methodical Jeff carefully sets the stage for this grizzly deed, Terry slowly crumbles under the guilt of a murder yet to be committed, a guilt that is only exasperated when this perfectly planned murder goes sideways. Both Clayton and Shane are terrific as brothers cemented in a grizzly pact, in which every carefully constructed step forward is riddled with greed inspired maliciousness. The depiction of such cold-blooded evil – planned through a series of to-do-lists, of all things – is spliced with on-key comedic moments that startle with their hilarity. Clayton’s ability to weave the dark with the comedic is brilliant in its execution, made even better by the on-key performance from all involved. With both Kenny and now Brother’s Nest, there is no doubt that a strong connection is found between Clayton and Shane that goes beyond blood. Movie magic is made when these two brothers come together. Hopefully, it won’t be another twelve years until they do so again.